Cree, Inc. releases the new 8000-lumen LMH2 LED Module, a no-compromise, easy-to-use solution for high-ceiling applications. The 8000-lumen LMH2 is designed to replace 150-watt ceramic-metal-halide (CMH) lamps while only 63 percent of the power consumption and lasting three times as long. With the introduction of the 8000-lumen LMH2, the Cree LMH2 LED Module family offers the industry greatest range of lumen output from a single form factor, making it possible to outdated CMH technology. 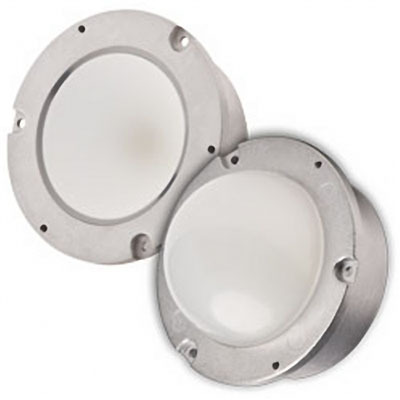 "The new Cree 8000-lumen LMH2 LED Module allows us to effectively address high-ceiling, high-lumen applications without having to lose color quality or reliability," said Wesley Johnson, product manager, Hi-Lite Mfg. "We can now easily provide our customers with better lighting solutions to replace 150-watt ceramic-metal-halide lamps in spaces such as convention centers, airports, auditoriums and shopping malls." LMH2 LED Module family provides a wide range of light output (850 to 8000 lumens) from a single LED light source, enabling lighting manufacturers to quickly develop an entire product category with just one set of tooling and optical design. Lighting designers can now use one light source and technology to light an entire space and avoid problems such as color inconsistency and re-lamping.